On May 30-31, 2018 the representatives of Simmakers Ltd visited SVOD 2018 in Mountain View (California, USA). This annual event has once again gathered the huge number of technological companies, IT-startups and investors. On September 5-8, in Magadan, XI International Symposium on Permafrost engineering took place. P.I. Melnikov Yakutsk Permafrost Institute, the Siberian Branch of the Russian Academy of Science was the organizer of the event from the Russian party. Among the participants of the symposium, besides the scientists from Russia there were also representatives from China, the USA and Japan – geocryologists, geophysics, engineers, design engineers. The international conference “Permafrost in XXI Сentury: Basic and Applied Researches” was held on 27-30 Sept. 2015 in Pushchino, at the Institute of Physicoсhemical and Biological Problems in Soil Science RAS. The main topics of the conference were the following issues and research trends: “Permafrost Response to Climat Change”, “Permafrost Engineering and Hazards”, “Hydrology and Hydrogeology of Permafrost”, “Geophysical and Remote Sensing Data in Permafrost Investigations” and others. Simmakers took part in the XIII scientific conference “Information Technologies in Engineering”, which was held on April 2-4, 2013 in Giprotyumenneftegaz institute, Tyumen. Representatives of 53 companies from 22 Russian cities and CIS countries took part in the conference, including Bentley Systems, Rosneft NTC, TNK-BP Management, Surgutneftegas, Giprovostokneft, Bashnipineft, Tatnipineft, Tomsknipineft, Tyumennipineft, Ufanipineft, Samaranipineft, etc. 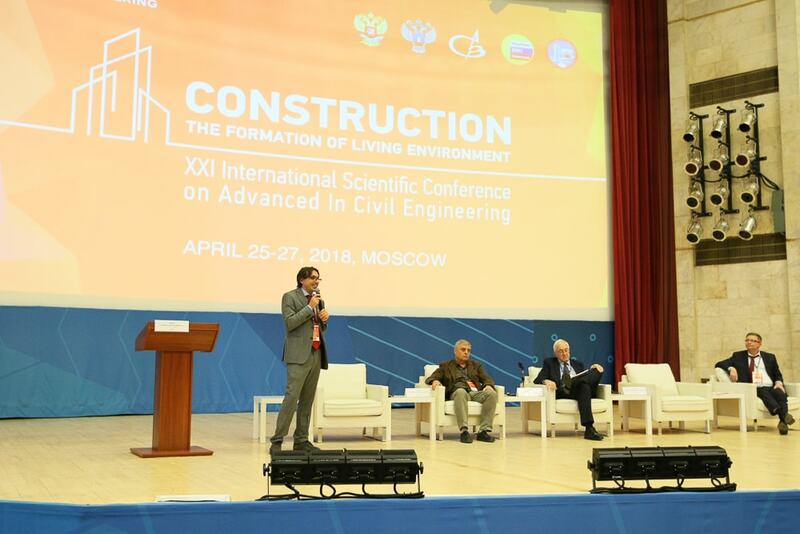 Simmakers representatives presented 2 reports “Software Development for Specific Problems in Oil and Gas Industry” and “Specificity of the Numerical Heat Transfer in the Engineering Problems of Foundations Construction in Permafrost”.